America’s new-car showrooms contain roughly 170 different 2014-model cars. Eighteen are new nameplates – the Jaguar F-Type and Mercedes-Benz CLA, for example — while 19 are fully redesigned versions of existing models. Here are the most successful of those redesigns. These are familiar badges on all-new cars, with all-new bodies and fresh engineering. That’s what “totally redesigned” means. If the designers do their job right, it also means totally awesome. 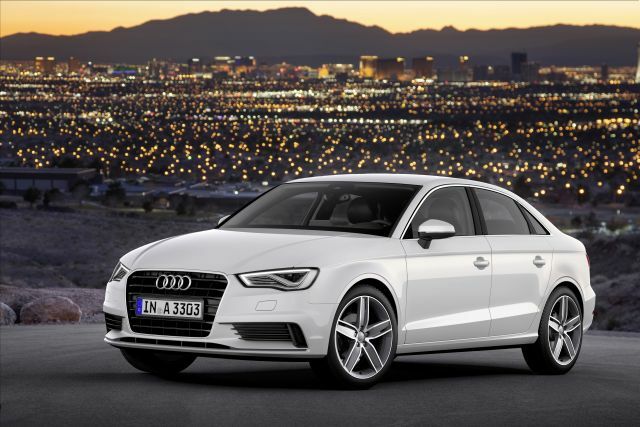 Technically, it’s a 2015 model, but the A3 went on sale in April 2014, competes with 2014 models, and won’t change appearance for model-year 2015. So bear with us. Audi replaces the previous A3 — a four-door hatchback — with a four-door compact sedan in the mold of its larger, more expensive A4 and even A6 models. That means a handsomely understated shape animated by carefully considered cutlines, creases that catch light, and of course, that yawning Audi maw. Frankly, it doesn’t take many chances. But that makes this entry-level Audi all the more appealing to buyers new to the brand who’d shun a car that lacked that Audi aura. Engines are four-cylinder turbos. Front-wheel drive and all-wheel-drive models are offered. The A3 line, incidentally, will expand to include a two-door convertible and, yes, a four-door hatchback that’ll feature diesel and hybrid powertrains.